Is used for affixing insulation plates, as a material for levelling concrete surfaces and as an adhesive for levelling the Renotherm 50 thermal system. It can also be used as an adhesive for cement plaster on smooth concrete surfaces, stones, ceramic tiles and granite slabs. 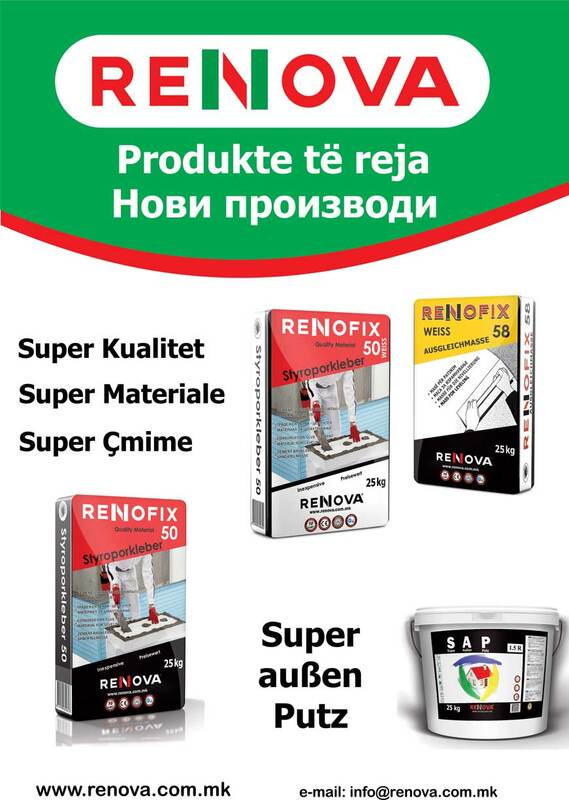 One sack of Renofix 5 STANDARD is mixed with 7 to 7,5 litres of clean water for 2 minutes. The minimum functional temperature is 5°C.